You've dreamed of owning property on Lake Winnipesaukee in New Hampshire and now you can make it come true. Or perhaps you just want a real estate investment in this area. Either way, it's possible depending on what you're looking for. Lakefront homes on Lake Winnipesaukee in New Hampshire, or other lakes for that matter, can be quite pricey. Many owners buy the land as a real estate investment. They tear down existing cottages and put up very expensive homes. This has driven the market up in this area. 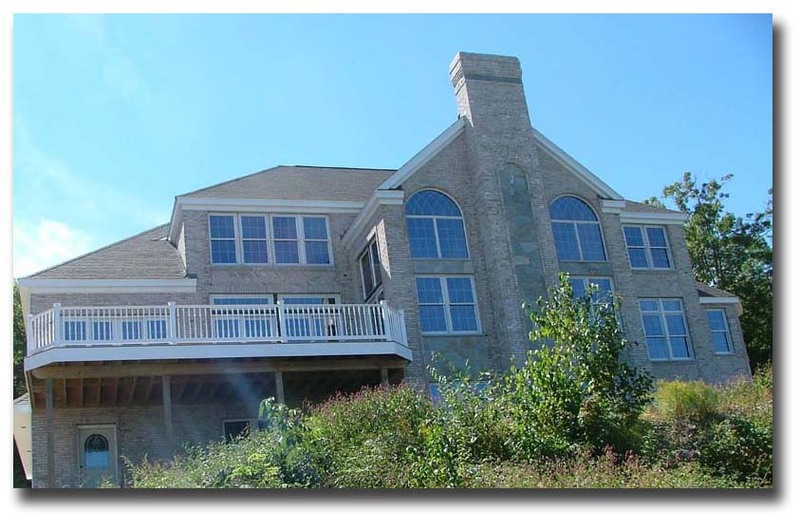 If you're in the market for a beautiful mini-mansion, then you'll find many luxury homes all around Lake Winnipesaukee that meet your needs. You can also find average size homes, condos and cottages for a lot less. Either way, many people dream of living on the lake and can find something to fit their needs. Buying a home in the Lake Winnipesaukee region of New Hampshire is just like buying one elsewhere. You still have to go through all the steps to secure your home ownership. 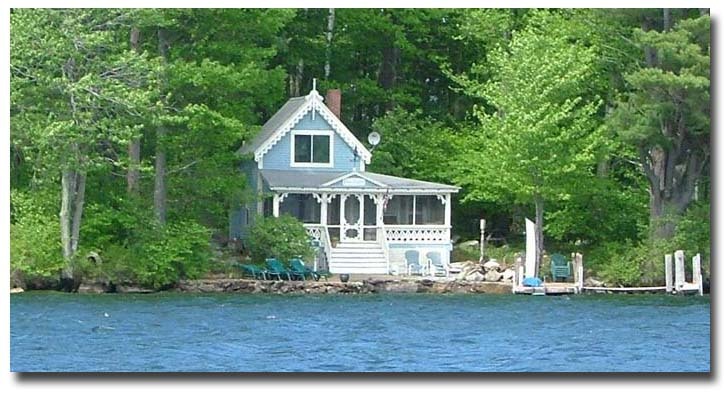 There are many Lake Winnipesaukee homes for sale. As we cruise the lake in our boat, we notice quite a few "For Sale" signs. Each year is different. More and more people are buying up what's available and still others are building mega-houses or adding on to their smaller vacation homes. Most New Hampshire real estate on Lake Winnipesaukee islands is used for summer vacation homes. The islands that are connected to the mainland by a bridge have many permanent homes. Because the lake freezes over in the winter it's not reasonable to live all year on an island. From what I hear, a few people do it if their island home is literally a hop away from the mainland. If you like to be more secluded and want to get away from it all, consider purchasing an island property. As you cruise around in a boat, you can see the various islands and what they have to offer. Many island properties are available and you can stay there most of the year. Lake Winnipesaukee in New Hampshire has 365 islands, not all are habitable. There are pros and cons to owning real estate on an island. Many owners like the camp type atmosphere they experience with the isolation from the mainland. It's generally quieter and you can enjoy the time without a lot of interruptions. Most islands have electricity but there are a few out there that don't. On the other hand, you must own or rent a boat to get there. If you need something at the store, it's not easy to run out for it. If you're looking for fantastic views of New Hampshire, you might want to consider buying real estate on a mountain overlooking Lake Winnipesaukee. There is still plenty of land available as well as homes for sale. You'll have a longer drive to reach the water, but sitting out on your deck overlooking the entire lakes region while listening to the sounds of nature is worth it. 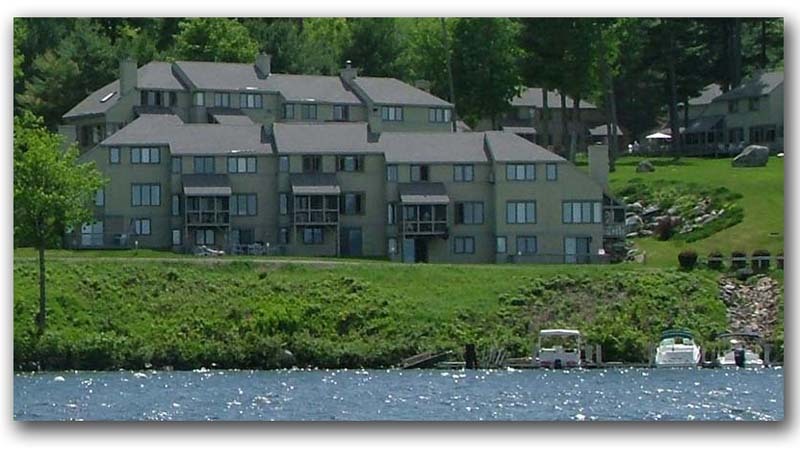 Because there are plenty of condos around the lake, many people choose to buy condos rather than homes. Many of these units can cost just as much as a home but there are others that are still reasonable. There is plenty of New Hampshire real estate available near Lake Winnipesaukee as well. There are neighborhoods with single family homes, condos, as well as luxury custom homes away from the lakefront property. You're still close to the fun activities and most places have beach rights to an association beach.